* Apple Watch will start at $349 and go on sale early next year. Workout app will show calories, time, distance, and pace for workouts. * Apple is taking on health tracking with two apps. Fitness and workout apps help monitor your exercise. Say goodbye to Fitbits and the like. 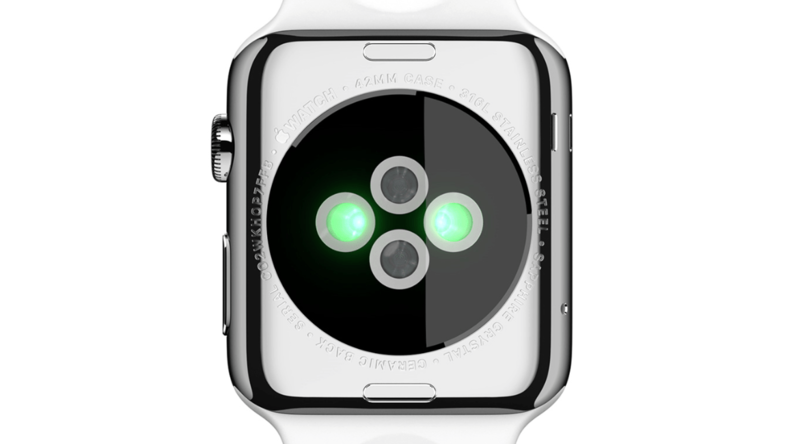 * “WatchKit” lets devs make custom notifications and even apps that work on the device itself. *Apple app developers will be able to extend app functions to Apple Watch. BMW will help you find your car in a parking lot. W Hotels will let you unlock your room using the watch. Watch can act as your American Airlines ticket. * You can call, text, or “digital touch” your friends and family. Draw, tap, or send your heartbeat. Seems cool, but mostly a quirky demo. Maps on Apple Watch will use taptic engine to let you know when to turn as you walk. Favorited photos from iPhone will show up on Apple Watch. Apple Watch analyzes incoming texts and will offer multiple choice responses you can quickly tap. Oh, and animated emojis. “Glances” shows notifications and has music control. Home screen has clock at center surrounded by apps. “Force touch” is Apple’s vernacular for stabbing the screen with your finger, it seems. Tapping is so 2007. Apple Watch will act as comprehensive fitness tracker. Infrared, LEDs and photosensors will detect pulse. 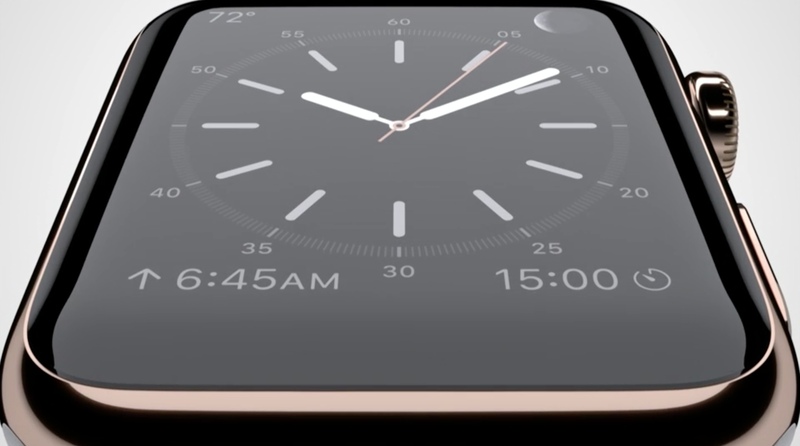 Apple Senior VP of Design Jony Ive-narrated video says Apple Watch display stays off until you raise your wrist. Watch crown (that little knob on the side of your analog watch) is now the digital crown and will act as a navigation device. * It can sense your movements, your heartbeat, and your touch. It’s very sensitive, but needs your GPS and cell connection from your iPhone. 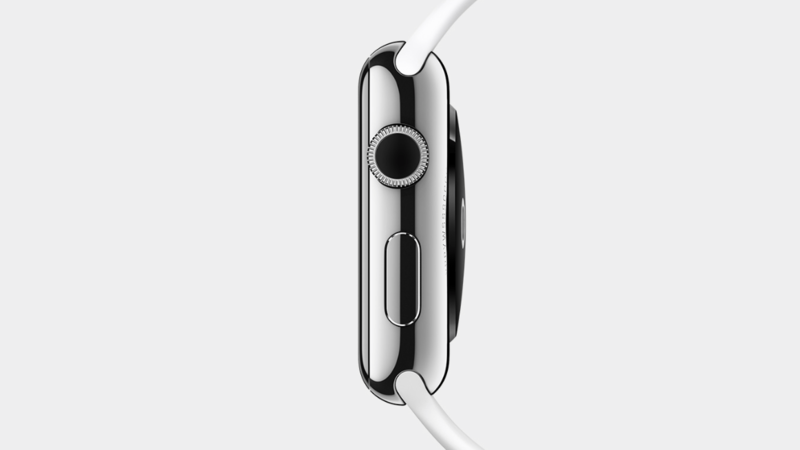 * : Apple Watch senses touch and force on the screen — like a Wacom tablet. Want to see that on the iPad. Apple Watch is here. Not iWatch. 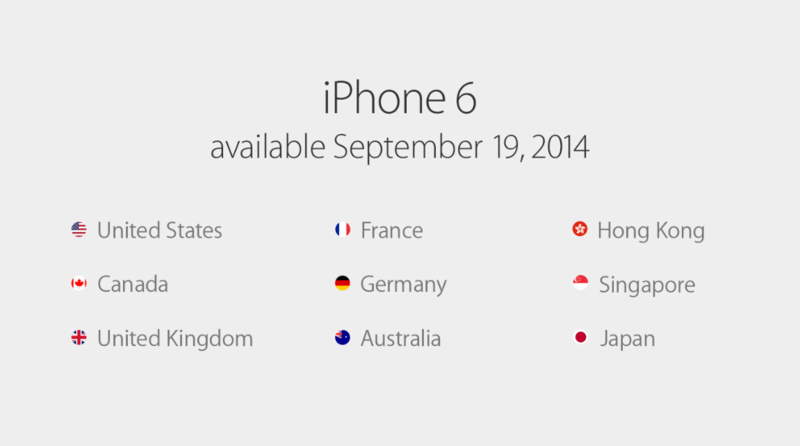 * The new iPhones launch on September 19th in 9 markets. * Privacy and security key to ApplePay. Apple doesn’t know what you bought, where you bought it or what you paid. Will start with American Express, MasterCard and Visa. Will work at 220,000 merchant locations that currently accept contactless payments. * iPhone 6 comes in gold, silver and space gray, starting at $199. * FaceTime HD camera has been improved — new sensor, larger aperture, improved face detection means better selfies! * Optical image stabilization uses M8 and gyroscope. * Going forward, Apple’s TouchID system can be used by third parties. This will be great for two-factor auth! * Apple is promising “Single-shot HDR” photos. Supposedly, the sensor is so good, it doesn’t need multiple exposures. This also means videos can be shot in HDR as well. Interesting move. * The new iPhone has a brand new sensor. It sports an 8MP back-facing camera with 1.5µ pixels. 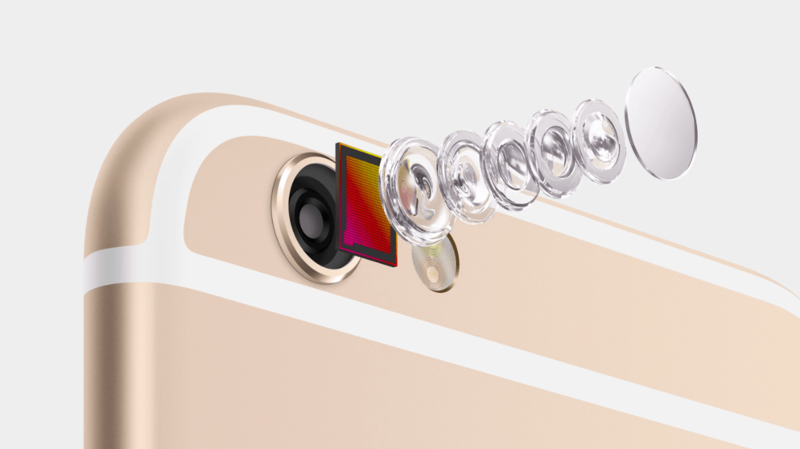 Apple doesn’t care about the megapixel race. Optical image stabilization uses M8 and gyroscope. * New iPhone supports more LTE bands and 802.11ac. Also, phone calls will now work over WiFi, and seamlessly transition to cell towers. Great idea! * New 8MP iSight camera will have faster auto-focus and noise reduction. Panoramas will have up to 43 megapixels. 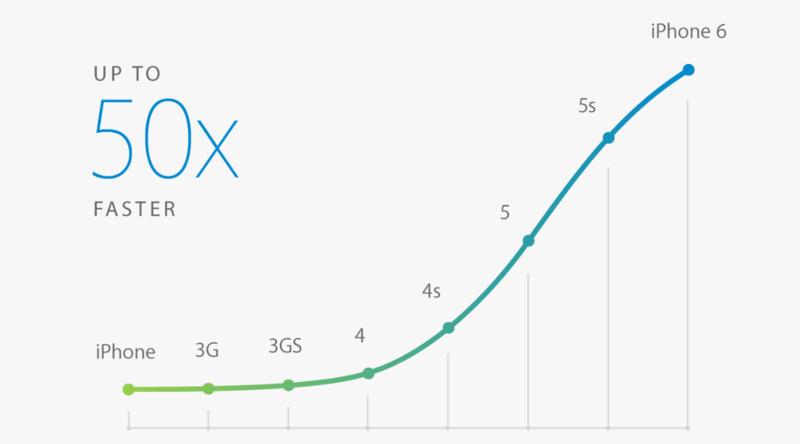 * Apple: With 802.11ac, iPhone 6 Wi-Fi speeds are up to three times faster than iPhone 5s. * New barometer will track elevation — great for people running stairs. * The M8 coprocessor accumulates accelerometer, gyroscope, and compass data constantly. The iPhone 6 measures barometric pressure as well. * Supposedly, the iPhone 6 will be upwards of 50% more energy efficient, so that means less battery consumption, and less heat. * A8 processor in the new phones is 64 bit, obviously. Built at a 20nm process, a 25% faster CPU, and a 50% faster GPU than last gen.
* Non-updated apps are just getting scaled up. Ehhh… Not thrilled about that. Apple: iPhone 6 is merely 6.9 mm. iPhone 6 Plus is just a smidge more at 7.1 mm. The iPhone 6 has a 1334×750 resolution — 326ppi. The iPhone 6 Plus has a 1920×1080 resolution — 401ppi. Apple CEO Tim Cook takes the stage.